Company May Be Smaller than It Sounds! Asking customers to dial a separate number is like asking website visitors to make extra mouse clicks. They both lower the conversion rate, the number of potential customers that actually turn into paying customers. Studies in marketing show that customers are very fickle when it comes to deciding which vendor to choose. 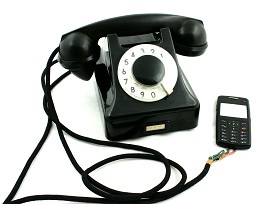 Asking customers to hang up and dial another number is like asking them to never call again. It can be the death of a potential sale and mean the loss of a potential customer. Small business phone systems offer an easy way for very small organizations to be able to transfer calls professionally like the larger companies. Choosing a cloud hosted system that’s as easy as Halloo will mean never again asking a customer to dial back on a different line!